Brain Basics is a project for the "One Club Kids and Technology" Poster series. The prompt for this project was to create a poster series that either highlighted the positive or negative aspects of technology and its effect of young children. 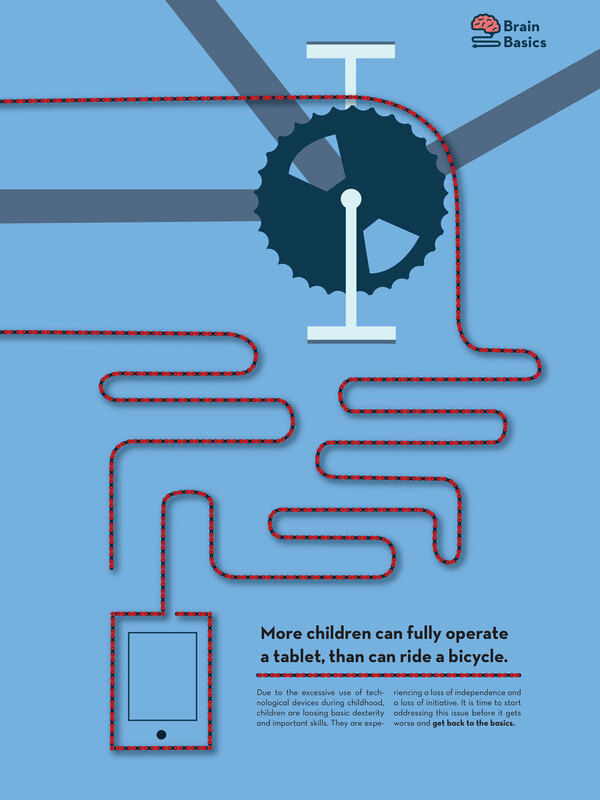 I chose to show the negative effects technology has on kids and illustrated how kids are loosing basic dexterity skills, like tying their shoes, riding bikes, or zipping their jackets. I used a bold message and discussed the effects in more detail under the quotes. I also created a logo in the shape of a unplugged brain for the campaign, that plays off the fact that children are more disconnected with reality than ever.